A beautiful morning dawned this past Saturday and I set heading to the Witbank Airport along the N4. The weather seemed excellent for late spring with light winds and no clouds predicted. On arrival at the Witbank airfield I met with Dr. Robert Clark, the communications representative of the Witbank Aeronautical Association. 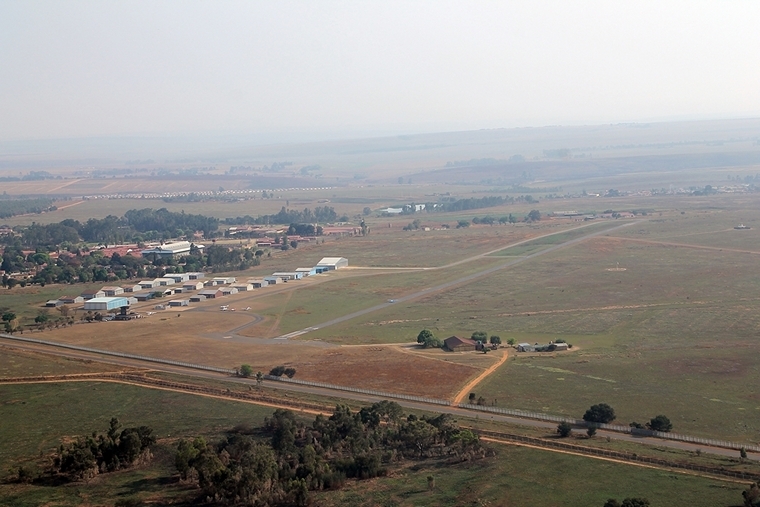 Some facts about the Witbank Flying club is that it is the second oldest in South Africa, only second to the Johannesburg Light Plane Club. 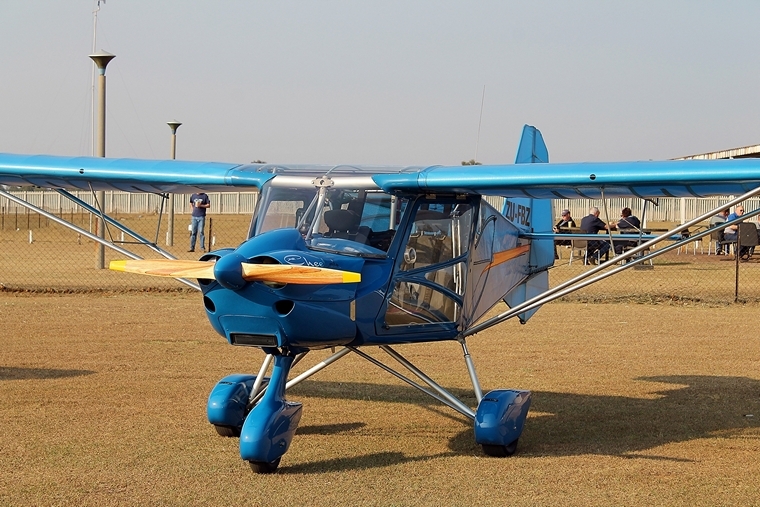 The Witbank flying club was started in 1928 by a gentleman called Eric Wells, with a De Havilland DH60 Cirrus Moth. It was also home to 5 Air School from 1940 to 1944 where Royal Airforce and South African Airforce pilots were trained on De Havilland Tiger Moth aircraft. Back to the present day, I noticed that some aircraft had joined the circuit for runway 04 and I situated at the touchdown area of the runway. I must note that the general condition of the airfield is nothing short of excellent. The grass areas are all neatly mowed and kept. The taxiways and runway seemed in good condition too. Several visitors flew in and made the best of the near perfect conditions. 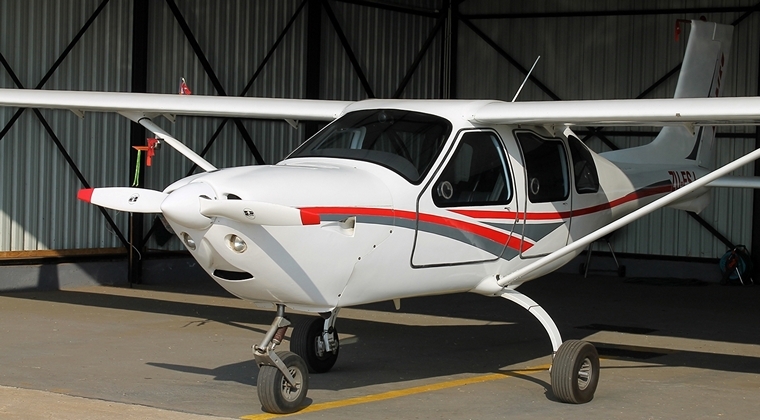 Robert kindly volunteered his immaculate Jabiru J430 for a photo flight of the Witbank aerodrome to be undertaken. I was expertly flown by one of the flight instructors at the flight school, Eric Maarsdorp, who took us on two wide circuits of the field in order for an aerial overview to be obtained. After the circuit flight the ladies of the Witbank Aeronautical Association had prepared a scrumptious breakfast for all the pilots that flew in. I also noticed that the ladies had prepared a very large hamper for a lucky draw recipient. The lucky draw took place a little while later and the winner was informed of her prize by telephone. I also had an opportunity to speak with the club chairman, Andre de Villiers. Andre explained that the club operates a flight school with a Cessna C150, a Jabiru J170 and a Piper Archer 2 for advanced training. He said that the school is quite busy with several students at different stages of completing their PPL or LSA training. Sitting around a table with some of the club pilots, I was immersed in hangar talk with many stories and experiences being shared. Apart from flying, this is one of my favorite parts of a visit to any airfield. There are many hidden nuggets of information that an inexperienced pilot, like myself, can glean from the �old hands�. As the event started to wrap up, Robert informed me that the club holds these fly in events every four months. With people this friendly and welcoming, a breakfast this good and an airport as well kept as this, it MUST be on your next fly away destination list! I would like to extend a special word of thanks to Robert for his hospitality!